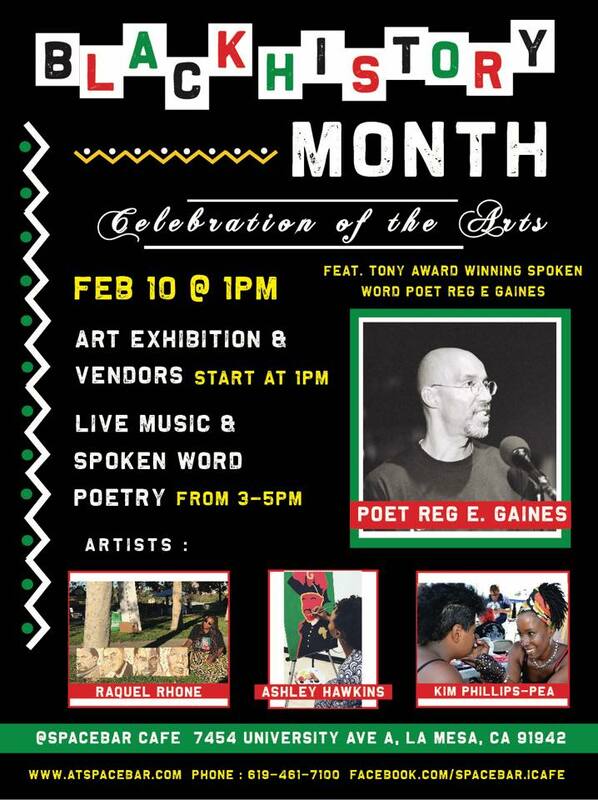 On Sunday, February 10 the Spacebar Cafe is hosting a Black History Month event. The event will include a Black History themed art exhibition starting at 1pm, then at 3pm we will have live music and spoken word poetry. Tony Award winning writer and spoken word poet Reg E Gaines is headlining the event. Come enjoy all these talented artists and of course a variety of delicious foods and beverages that Spacebar Cafe has to offer.